So without further ado, herewith Elise's favorites. Enjoy and have a great Halloween weekend friends! 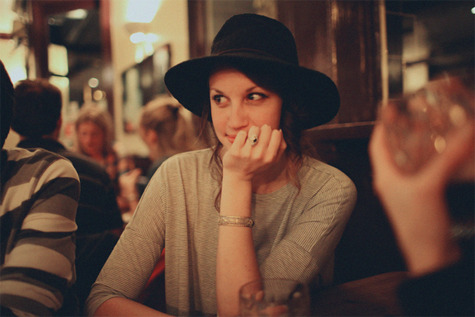 Street Style: One of my biggest sources of inspiration comes from street style photos. 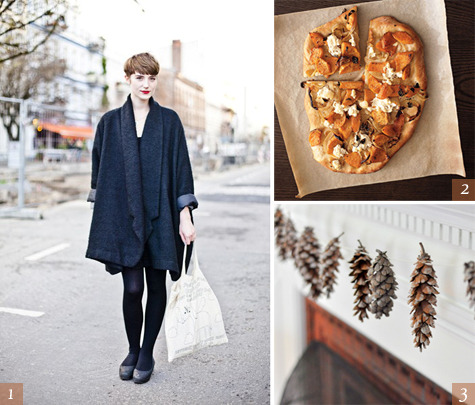 I love seeing how people express themselves through fashion and will never tire of the endless inspiration. Butternut Squash: Yum! I can't get enough of it this time of year. My friend made this amazing butternut squash bread pudding (with pesto on top) but this pizza looks awfully delicious, too. Holiday Decorating: It's the most wonderful time of the year! Well... almost. I am already looking forward to filling my home with twinkly lights and cozy, festive decor. Gold Cube: How awesome if this inflatable gold cube? It even condenses down to pocket size! Looks like such fun on a windy, autumn day. Simple, Thoughtful Jewelry: I'm not a huge accessories girl, but I love simple pieces that work for several different occasions. 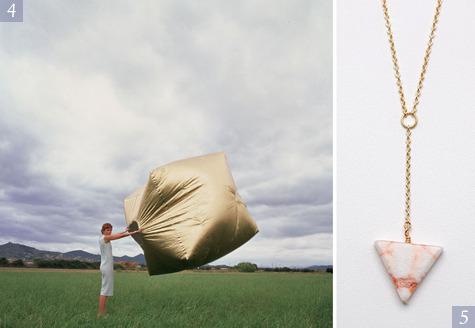 My recent obsession is this sandstone point necklace from Need Supply. Pretty Hair: I've been feeling really bored with my hair lately and am anxious to try out some new styles. This braid is refreshing and beautiful. Gem Club - Breakers: This album hasn't come off repeat in our house for a couple of weeks now. It is absolutely stunning. A Cozy Spot: Recently my husband and I piled blankets and pillows on the floor and watched movies all night. I love curling up in a comfy corner with a good book or movie. Been totally freaking out over that gold cube! 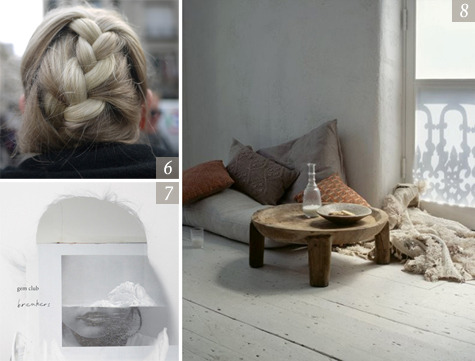 The braid and the cozy spot have totally won me over! I love the idea of snuggling up on the floor like that! Headed over to check out Pennyweight right now! I want that cozy spot! So cool! love elise's picks as always!